A Belgian eyewear brand that casts a subtle new light on design. Years of professional experience and the designers’ pure passion turn every sketch into a stylish frame with carefully designed details. 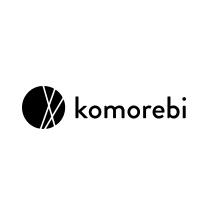 One thing is certain, at Komorebi eyewear quality is a priority. We attach great value to craftsmanship – both the designer’s and the manufacturer’s. Designed in Belgium, our eyewear is mainly produced in Europe.